Dean is a forensic accounting specialist with more than twenty years experience. 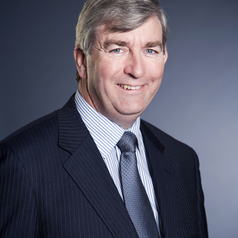 He was appointed to McGrathNicol in January 2006 after leading KPMG’s forensic practice in Melbourne for eleven years. Prior to this, Dean spent several years in KPMG’s Corporate Recovery Division following ten years service with the Victoria Police. Dean’s forensic experience includes investigation into major corporate collapses, fraud and misconduct in business generally, quantification of loss in commercial disputes, complex funds tracing and fraud and misconduct control. He lectures in Forensic Accounting at under-graduated and post-graduate level at the University of Melbourne and for CPA Australia. In August 2011, he was "Executive in Residence" in the Faculty of Business and Economics at the University of Melbourne under the auspice of the University's Centre for Accounting and Industry Partnerships. He was the Chair of the Working Party formed by Standards Australia that produced Australia’s Fraud and Corruption Control Standard (AS 8001-2008). For seven years, Dean was a member of the Audit Committee of the Municipal Association of Victoria and was chair of the committee for two years.